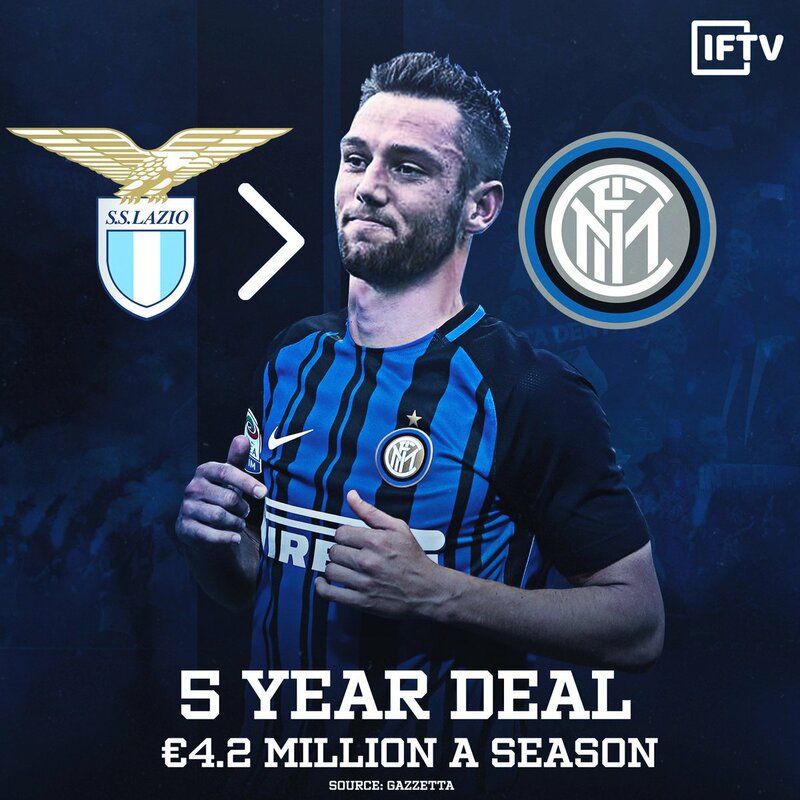 Stefan de Vrij will be a free agent in June after Lazio withdrew their contract offer and it’s reported Inter have a deal already. Aquile director Igli Tare announced last night, just before the 2-0 victory over Verona, that the club had withdrawn its proposal to renew his contract due to continuing delays in giving a response. Several top clubs are interested in the Dutch international, including Juventus, Manchester City, Liverpool, Napoli, Manchester United, Barcelona and Paris Saint-Germain. However, Inter have been the favourites for several months and La Repubblica claims that the Nerazzurri are close to agreeing terms on a five-year contract worth €4m per season, plus bonuses. The situation could well change if Inter fail to qualify for the Champions League. I'm going on record saying he goes to the EPL, but our interest appears to be real. Nobody mentions De Vrij will come to Inter? Corriero dello sport has announced De Vrij has agreed to join Inter. A deep run in the CL? We'll be lucky to finish 3rd in our group unless this team gets massively overhauled. I didn't say we are going to make a deep run, I said it is a defence trio (and looking solely on the trio) worthy of a deep run in CL. Lazio DS claims he already know were SDV goes. Michael transleted it the best way: "Free agents are heading towards the city of Milan (Reina-Milan, Stefan De Vrij-Inter?)? I think it is the wind that takes them there." He will be bossy in 2018-2019 season, together with Skriniar, make us conceding the least goals in Serie A. Then get sold in summer 2019 for 10m to "balance the book", "because this transfer get us 10m plus in total" bla bla bla. I just noticed he's 26. I thought he was still 21 lol. He looks good in Nerazzurri. It prob is, news like this gets leaked out by respective parties.